Dr. Kathleen Mallozzi Hastings has been a physical therapist for more than 30 years and an educator for more than 20. She has taught at the university since 2007. She is also a physical therapist and the coordinator of clinical education at North Florida Regional Medical Center in Gainesville. Previously, she has been a physical therapist working in home health care, inpatient, extended care, and outpatient orthopaedic settings. 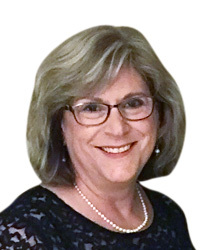 Her teaching career includes Santa Fe College in Gainesville, Florida Community College at Jacksonville, and Manatee Community College in Bradenton. Her professional service includes being co-chair and a central panel member of the Commission on Accreditation in Physical Therapy Education, as well as an on-site reviewer. She also was an advisory board member for the Santa Fe College Physical Therapist Assistant Program. She is a former Test Item Writing Committee Member for the Federation of State Boards of Physical Therapy. In 1998, she received an Excellence in Teaching Award from the National Institute for Staff and Organizational Development.